For more than 20 years, we have helped auto accident victims in and around the St. Louis area receive the compensation they need and deserve. If you or a loved one have been injured in an auto accident, we are here to help. Each year thousands of American’s are injured or killed in auto accidents. Almost 2 million people suffer permanent injuries due to these accidents. While police and other officials work hard to make our roads and streets safe, accidents still occur. Texting While Driving – According to the National Safety Council, cell phone use while driving causes approximately 1.6 million accidents each year. They estimate that 1 in every 4 crashes is due to texting while driving. It has become one of the nation’s top killers. Distracted Driving – While texting while driving falls under this category, there are numerous other activities that can cause a person to become distracted while driving their car. Some of these include – talking to other passengers, eating and drinking, reading, adjusting the radio, DVD player, or CD player, grooming, and using a navigation system. In fact, according to the National Highway Traffic Safety Administration (NHTSA), 10% of all drivers ages 15 to 19 that were involved in fatal crashes, were reported as being distracted at the time of the accident. Drunk Driving – One of the leading causes of serious accidents is drunk driving. Not only should you not drink and drive, but you need to be aware that someone on the same road may be driving drunk, and therefore drive defensively. Stay away from someone weaving on the road and report suspicious conduct. According to NHTSA, in 2014, 16% of all drivers involved in fatal accidents during the week were drunk, compared to 29% on the weekends. Reckless Driving – Reckless driving is considered a major moving traffic violation. It involves driving in a manner that displays a wanton disregard for the safety or property of others. Speeding, driving fast in unsafe conditions (either unsafe weather or unsafe road conditions), and running red lights or stop signs (i.e., failure to stop) can cause a serious accident. Be especially mindful of construction zones, as these areas are frequent sites of car wrecks and hit-and-run accidents. These are just some of the most common causes of car accidents every day. When another’s negligent or reckless behavior causes injury to another person, they should be held accountable. If you or a loved one have been seriously injured due to a reckless or negligent driver, contact a car accident lawyer near you. It is your legal right in Missouri to pursue compensation for the damages or injuries you have incurred due to another’s recklessness or negligence on the road. However, although injured victims have this right, it is not always easy to pursue compensation on your own. At The Hoffmann Law Firm, L.L.C., our legal team has the knowledge and experience to ensure that your rights are protected. We will assist you in making sure that your rights are represented and that you are being compensated for all of the damages you are entitled to. After being involved in a car crash, it is important to first seek medical attention immediately. You should also contact a car accident attorney near you at The Hoffmann Law Firm, L.L.C. as soon as possible. We can look over the facts of your claim and help you to determine what the best course of action is for your particular case. Contact us today by calling (314) 361-4242 or by filling out our online contact form. We are available 24 hours a day, 7 days a week. 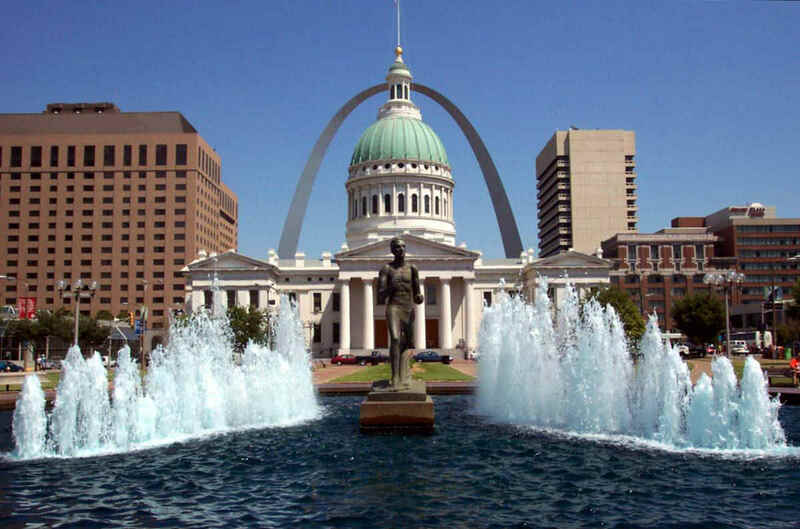 We represent car accident victims in and around the St. Louis area. We are here to help you.